I just saw “Nightcrawler” and it was so slimy I wanted to put it on a hook and toss it in the pond at my Mom’s house. Louis (Jake Gyllenhaal from “Prisoners”) is a no-account nobody we have absolutely no backstory on. He seems to be self-educated and self-employed as a thief, though I think we all have a little larceny in us somewhere. He talked me out of my $14 and made it seem like it was my idea. A chance encounter with a fatal car accident and a video journalist sets him on a new career path. He knows nothing about the business but, as he reminds everyone, he is a fast learner. His best skill is convincing others that he knows what he is doing. The first person he convinces of that is Nina Romina (Rene Russo from “Thor”), the TV news director on the vampire shift. She is bloodthirsty for the kind of vomit-inducing filth Louis feeds her. Louis worms his way into the industry as only someone with no boundaries and no conscience can do. There is no police tape or principle he is not willing to cross to bring the horror to the 6 o’clock news. As his star rises at the station, he becomes more valuable to Nina, and he makes a pass at her worse than RG3. In another movie she would succumb to his charms and alpha-male behavior. But here, with this nut job, it’s much more sordid and twisted around his psychosis. TV news is probably a good place for a motivated psychopath to wind up. With no connection to humanity and no consideration for people’s feelings or well-being, he is perfectly skilled to observe and exploit the violence and tragedy of others. He does not think for a moment to take his hand off the camera and help someone. Soon he finds ways to help create the carnage he captures. He wants to do more than frame the story with his lens. Writer and first-time director Dan Gilroy (“The Bourne Legacy”) tells a tight story with his own un-flinching style. 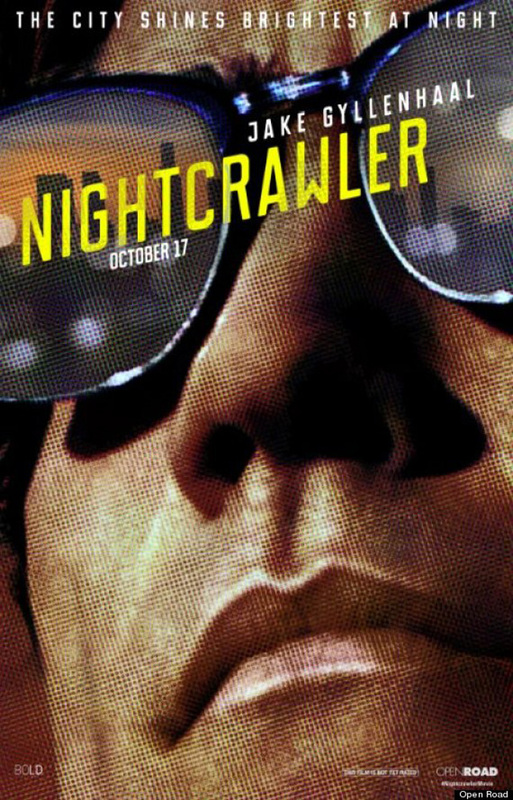 This felt like a mix of “Taxi Driver” and “Network,” where if it bleeds, even if it misleads, it succeeds. Somehow Louis is a hero in all this, and the tragedy here is that we live in a world where that happens. I don’t really like Gyllenhaal as an actor, and he was very un-likable in this movie. He is one of the most annoying and unsympathetic people I have seen on the screen, and I am not sure of how much of that is him or the character. That must mean this movie struck a chord with me, and for that, I will give this movie 4 stars out of 5. Still, this story has a payoff nobody will feel good about.